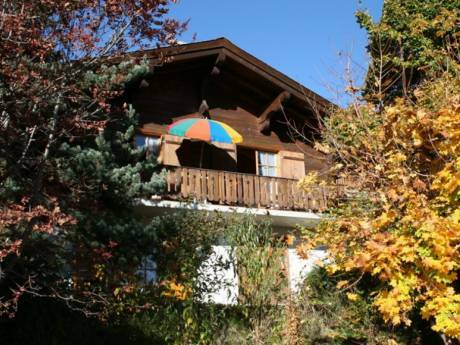 We offer two one room apartments, situated in the heart of the village, linked by a very big suuny balcony on the first floor (with lift), overlooking the lake and the Swiss Alps. 2 bathrooms, kitchen, central heating, 2 single beds in one apartment and a sofa bed (150cm) in the other. Free access to swimming pool and sauna on the ground floor and a parking space assigned to each apartment. 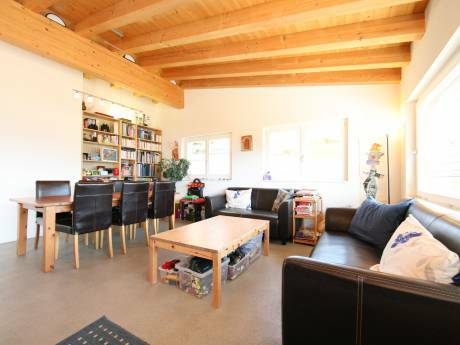 Until november 2012, only one apartment is available, for two persons. We are Daniela and Jacques. A married couple with 2 sons of 18 and 21. We are both professionals (solicitor and history professor). We have done many exchange as we love to travel and discover new places. 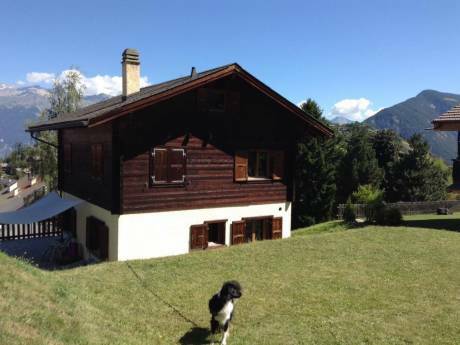 Situated an hour and half from Geneva airport Champex-Lac is a traditional mountain village sitting at a height of 1500m surrounded by mountains. They are many restaurants and a few shops. They are many activities to do all year round from skiing and ice skating in winter. In Summer hiking at all levels, fishing in the lake or swimming in the local swimming pool and many more.